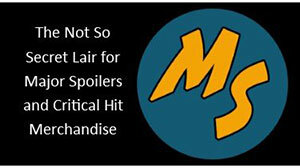 Major Spoilers has a sneak peeks for a bunch of Archie Comics hitting comic shops next week. 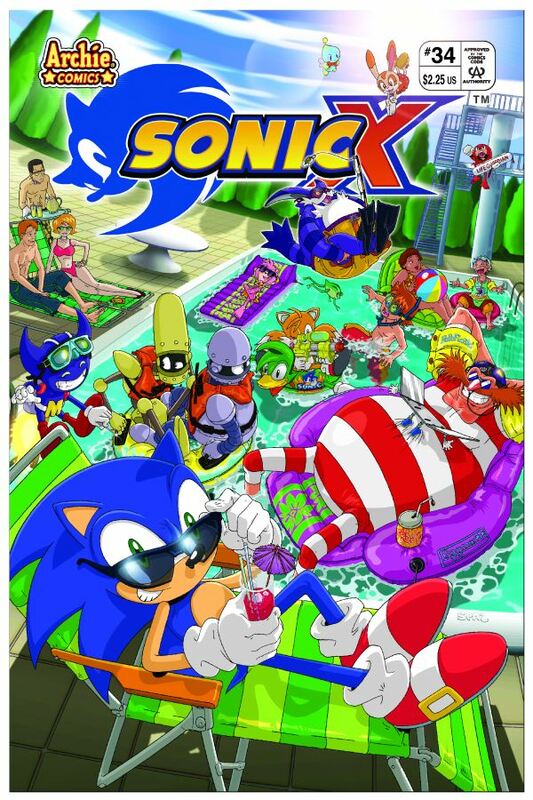 In this week’s installment; Archie Americana Series: Best of the Sixties Book 2, Archie #586, Archie Digest #245, and Sonic X #34. 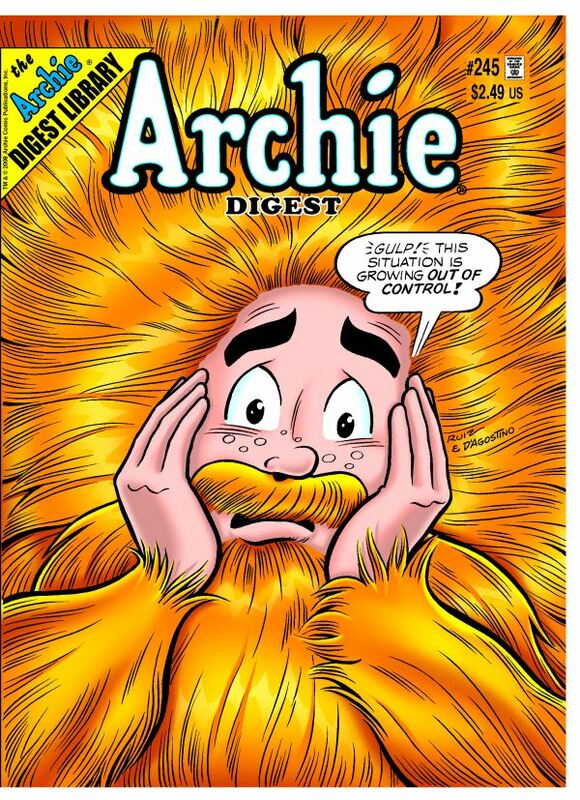 By popular demand, we’re pleased to serve up a second helping of 1960s fun and frolics for the many readers who enjoyed the original ARCHIE AMERICANA SERIES: BEST OF THE SIXTIES! 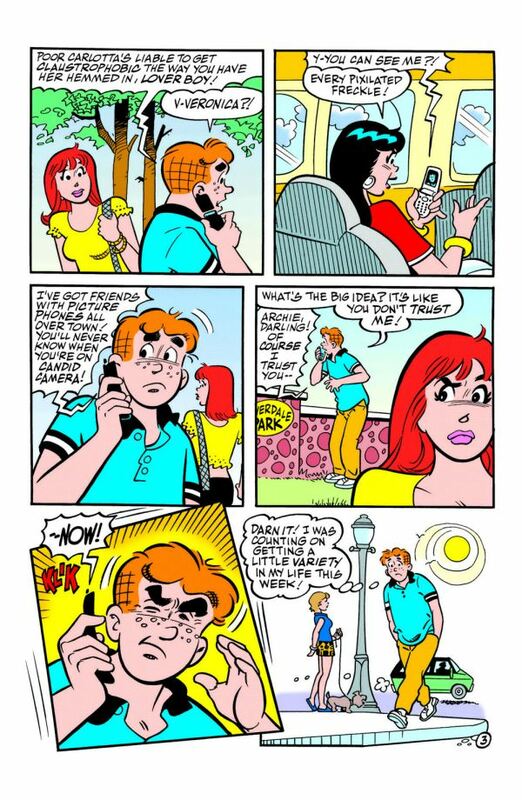 Witness Archieâ€™s awkward entanglements in the eternal love triangle! 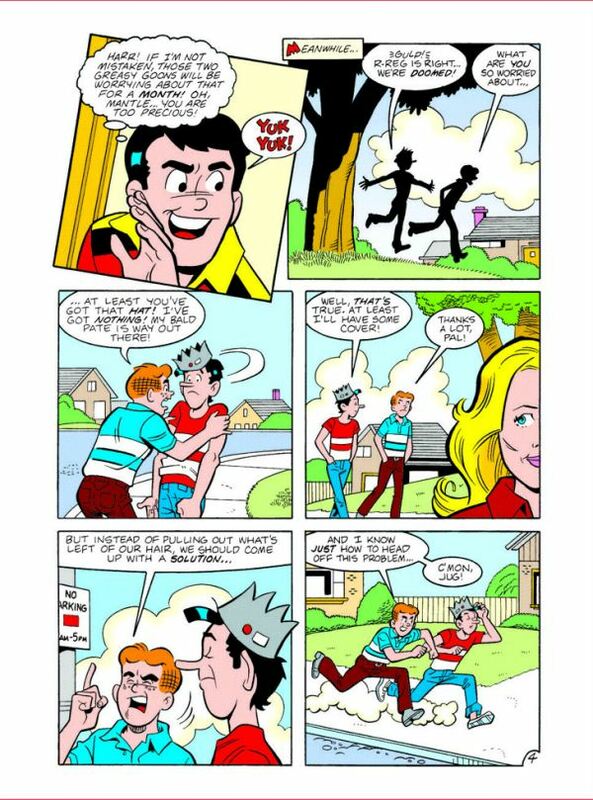 Behold Archie incurring the wraths of Mr. Weatherbee and Mr. Lodge! 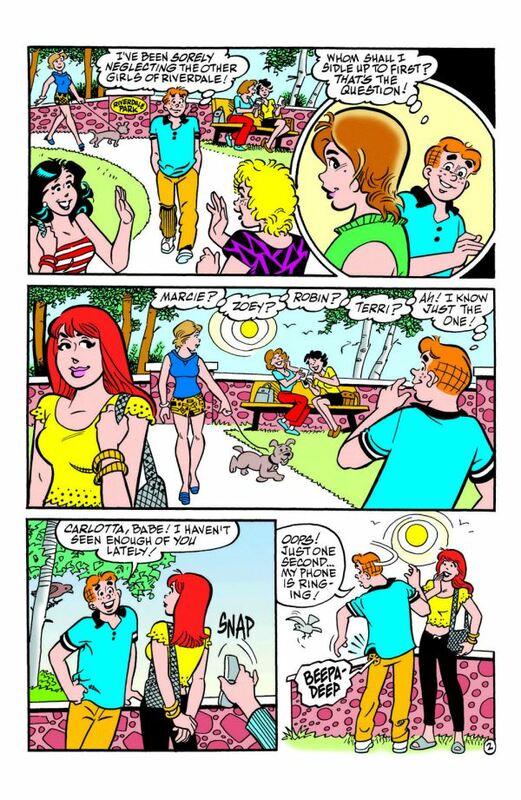 Feast your eyes on Betty and Veronicaâ€™s sensational sixtiesâ€™ fashions and hair styles! 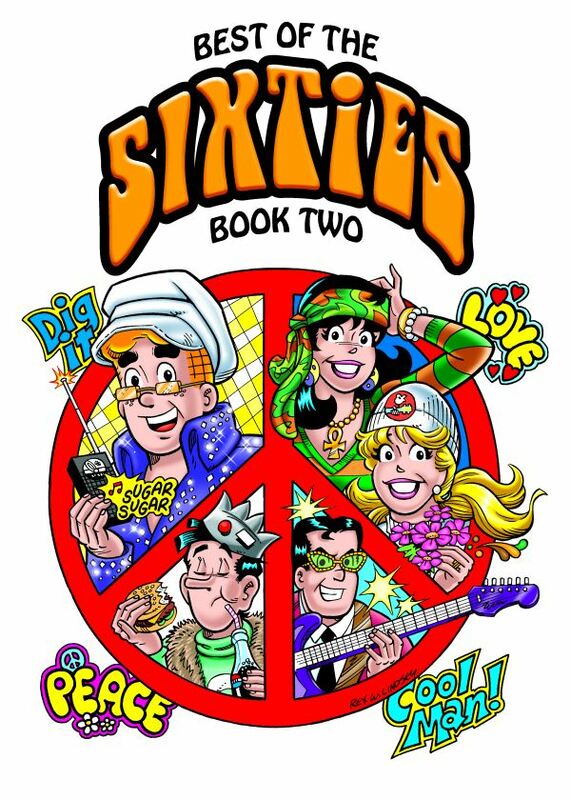 Learn yoga, catch up on the latest beatnik beat and join the peace rally with Archie and his friends! 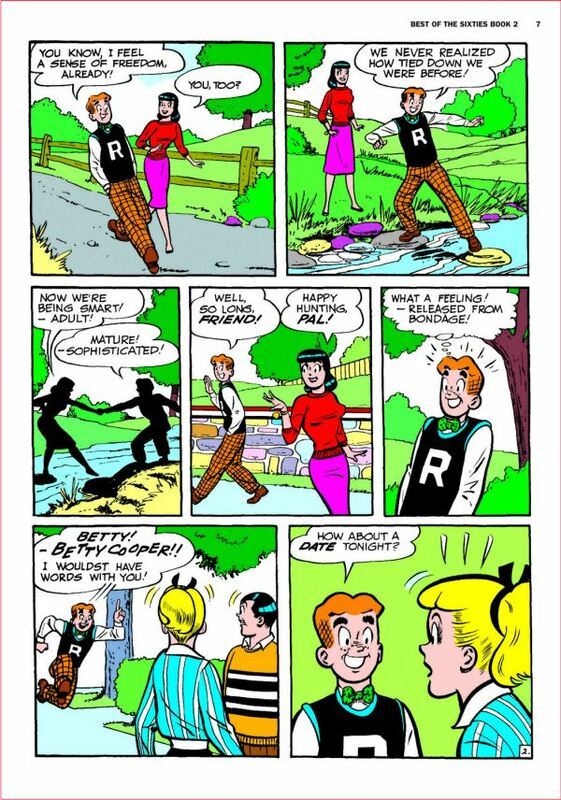 Youâ€™re sure to â€œmake the sceneâ€ with these comedy classics! 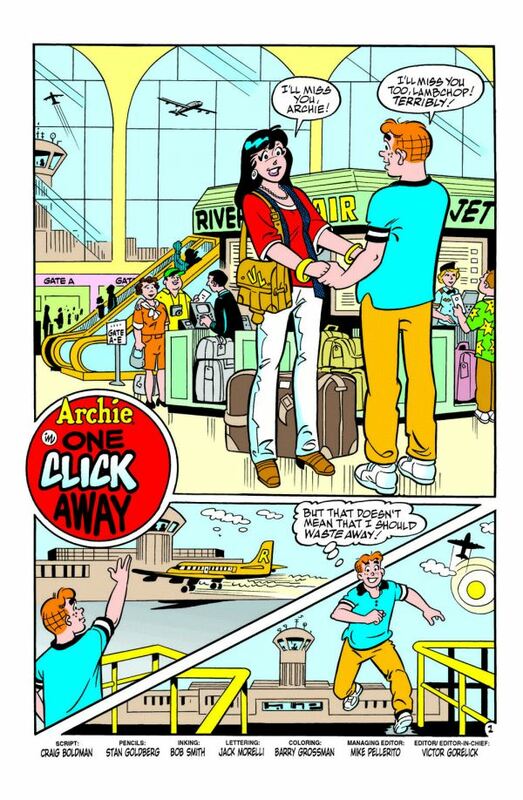 Each story is meticulously restored and re-colored to match its original brilliance. 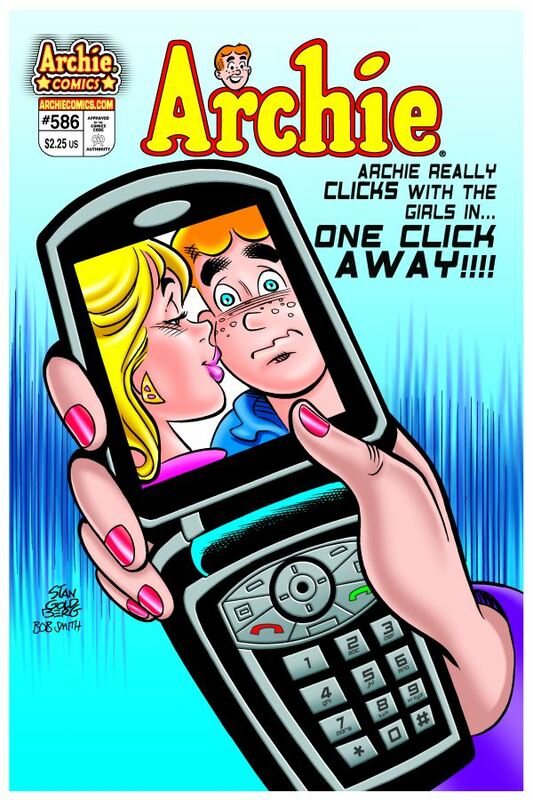 â€œOne Click Awayâ€: Archie decides to date other girls while Veronicaâ€™s out of town, but while Archie flirts away, Veronicaâ€™s spies click away on their camera phones! 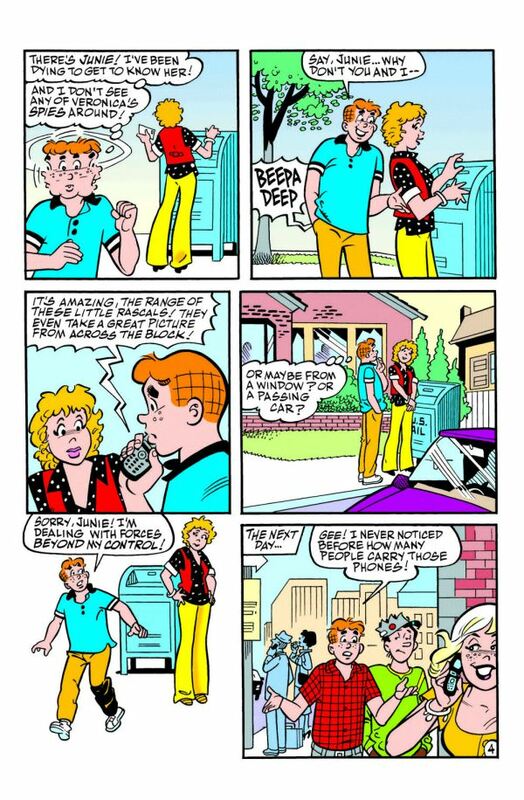 â€œTeen Tycoonâ€: Mr. Lodge has a dreamâ€¦ make that a nightmareâ€¦ about Archie becoming a millionaire! SCRIPT: Angelo DeCesare. 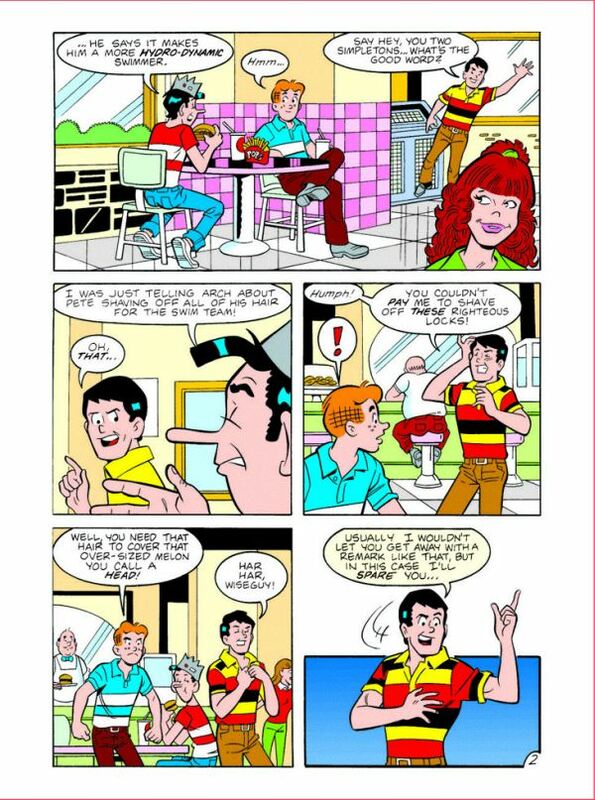 ART: Stan Goldberg. 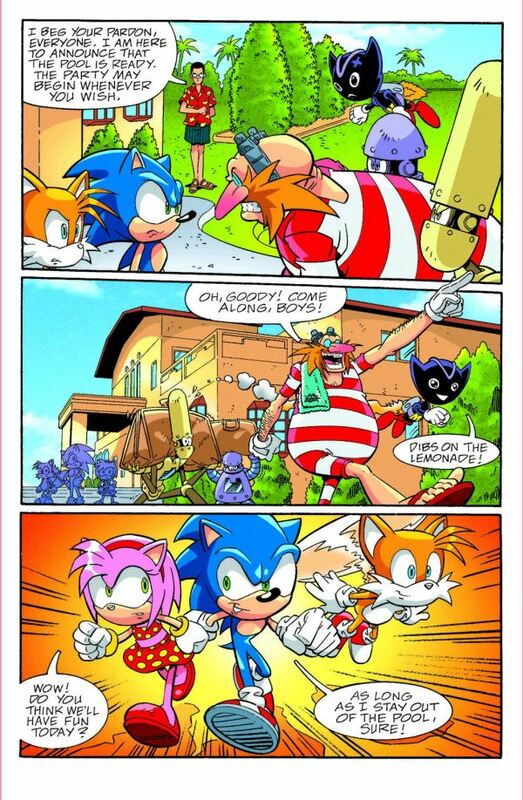 â€œNo Parking Zoneâ€: Archie finds the beach has gone to the dogsâ€¦ especially when a little puppy follows him there. Trouble is, itâ€™s a â€œno dogs allowedâ€ beach! 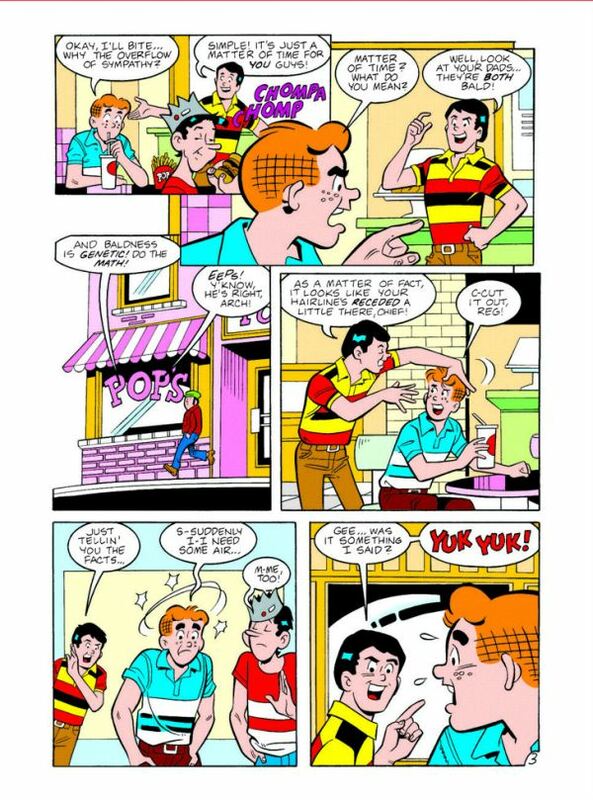 â€œBare Essentialsâ€: Things get â€œhairyâ€ for Archie and Jughead when Reggie convinces them theyâ€™ll go bald just like their fathers! 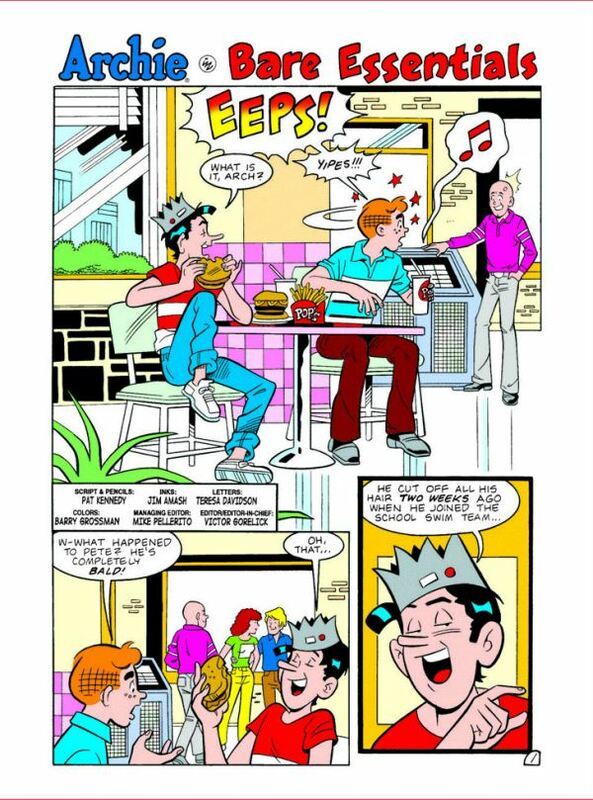 Can Diltonâ€™s hair growth formula or the internetâ€™s â€œcureâ€ help our heroes tackle their â€œmaneâ€ concern? 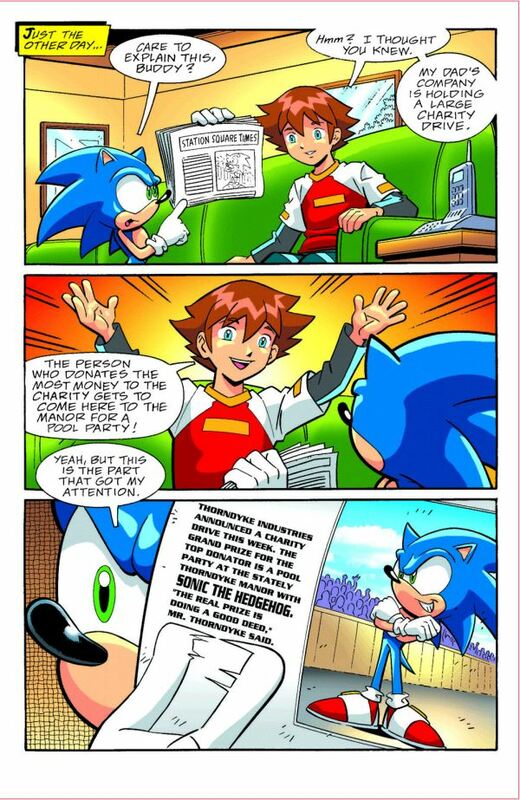 SCRIPT AND ART: Pat Kennedy. 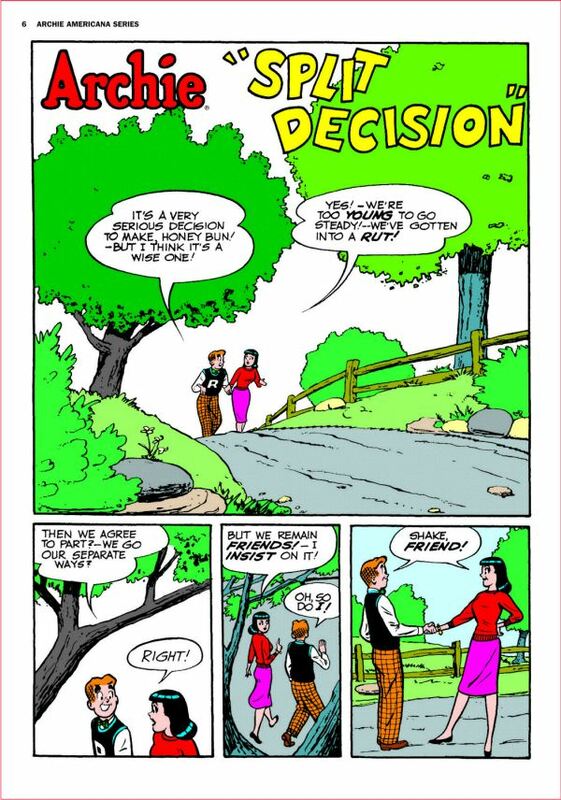 â€œThe Big Chaseâ€: When Archie agrees to umpire a girlsâ€™ softball game, his eye is on more than the bats and ball! 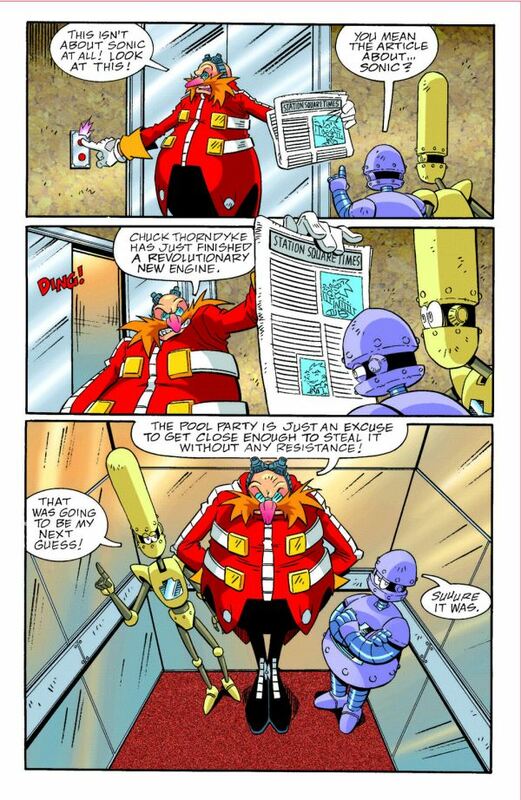 SCRIPT: George Gladir. 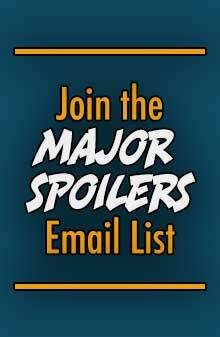 ART: Tim Kennedy. 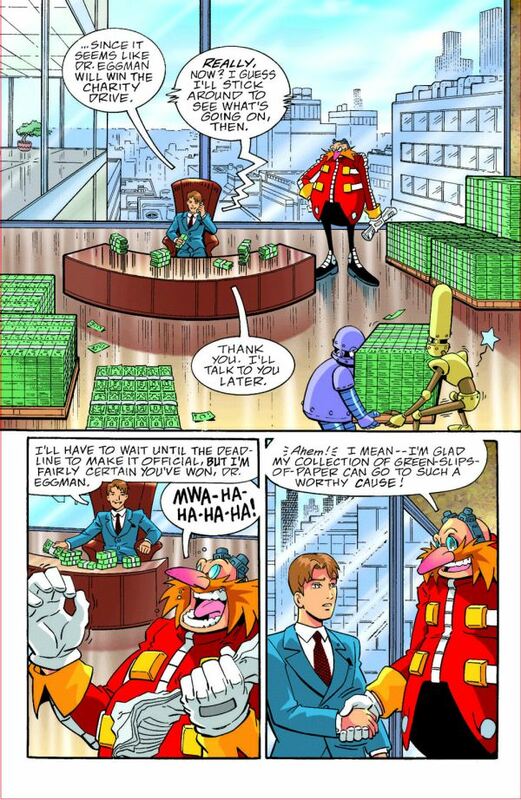 â€œFool Partyâ€: When Chrisâ€™ father holds a charity auction with the top prize being a personal pool party at Thorndyke Manor, guess what egg-shaped no-goodnik places the highest bid? 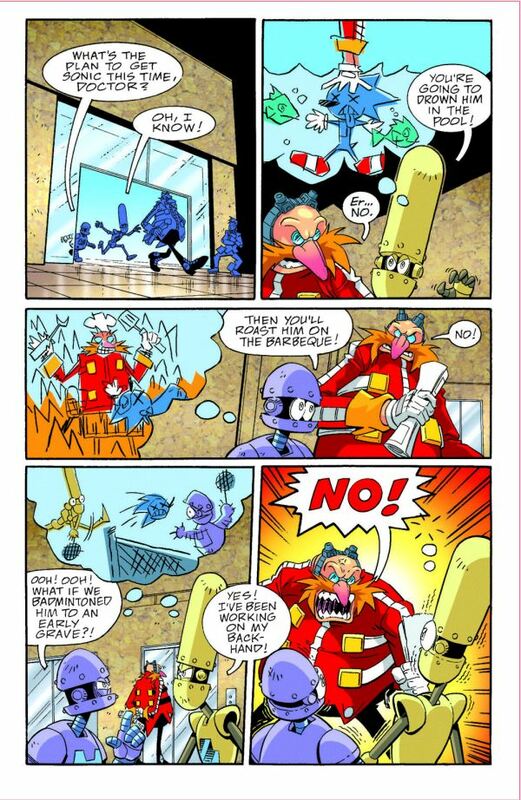 Sonic and Tails make the scene to make sure Eggman doesnâ€™t steal itâ€¦ or more precisely, doesnâ€™t steal one of Grandpa Chuckâ€™s special motors! 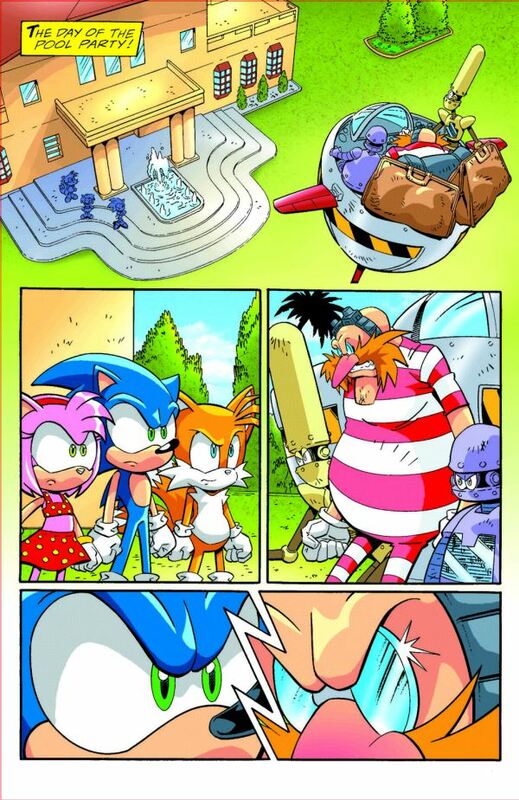 Hopefully Eggman wonâ€™t find out that Sonic canâ€™t swim! 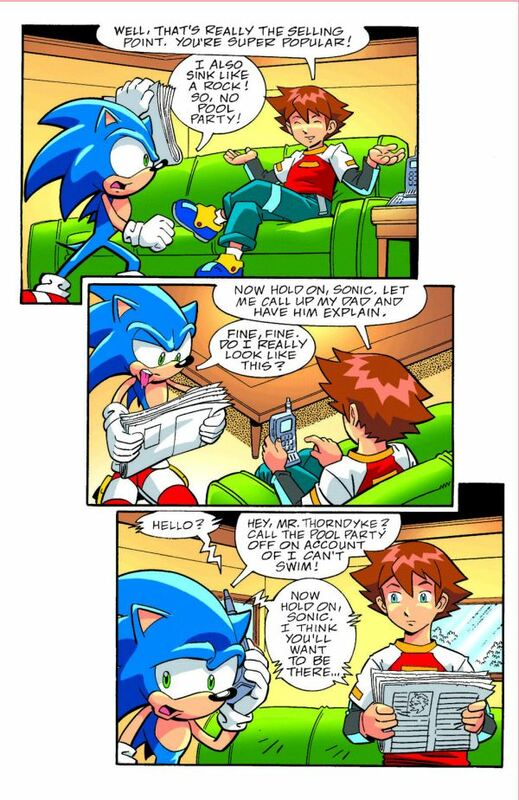 SCRIPT: Ian Flynn. 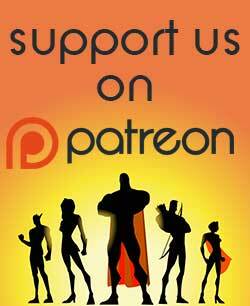 ART: David Hutchison and Terry Austin. 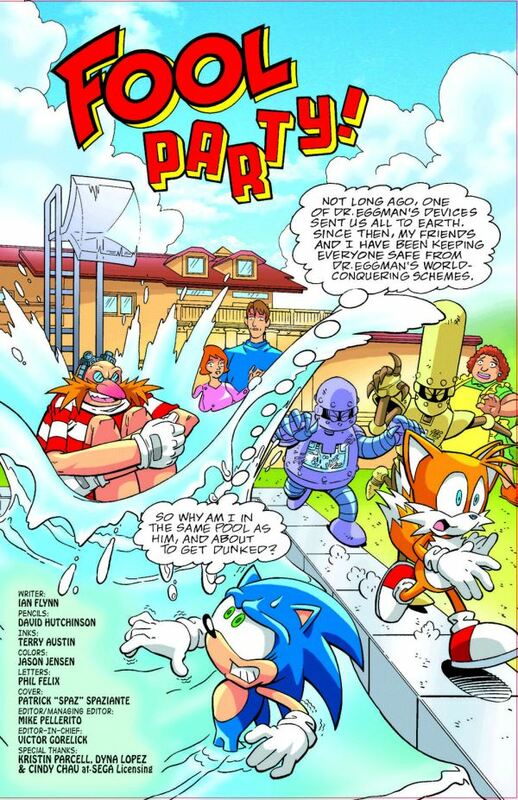 Splish-splashinâ€™ cover by Pat â€œSpaz the Pool Boyâ€ Spaziante!